This depot in downtown Kingstree has been serving trains since it was built for the Atlantic Coast Line in 1905 by Florence contractor W.J. Wilkins. 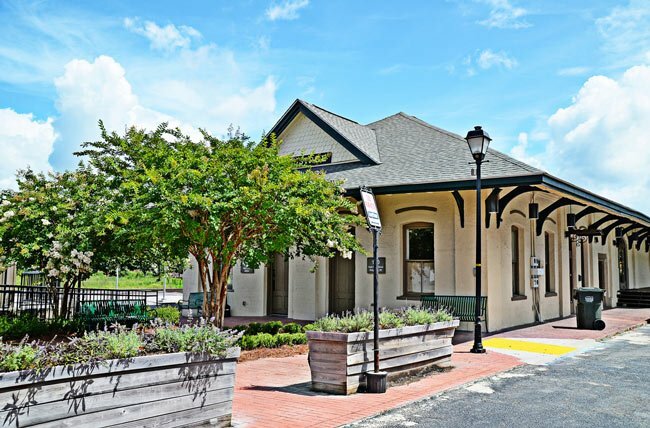 Located in the heart of the Pee Dee, the trains passing through this Williamsburg County town transported tobacco and cotton along these tracks throughout much of the twentieth century. The Atlantic Coast Line merged with Seaboard Air Line to form the Seaboard Coast Line Railroad in 1967. Though the company phased out passenger service by 1971, passenger travel to and from Kingstree did not end. In 1976 Amtrak began stopping here, and the depot was named one of Amtrak’s Great American Stations. Travelers can still catch one of four daily trains, including the Palmetto, which travels from New York to Miami. 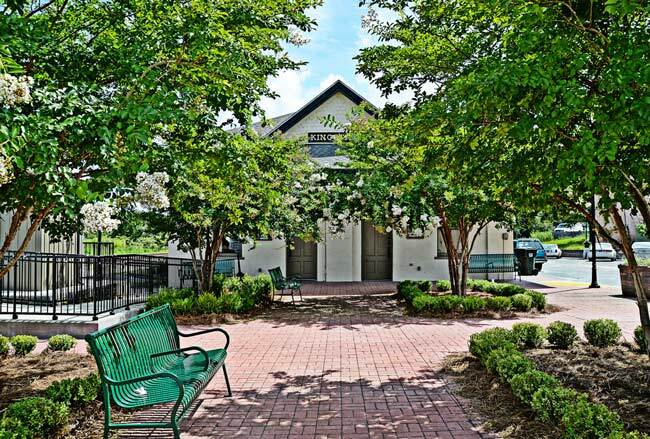 Though the depot is historic, it has been restored and updated over the years to continue providing modern amenities. The depot is currently owned and maintained by the Town of Kingstree. 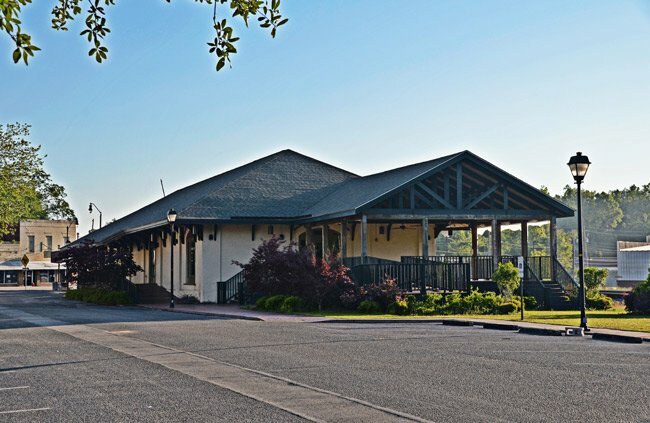 Space within the depot has served several restaurants over the years, including the Front Porch restaurant, which occupies the space presently. The front of the depot serves as offices for Main Street, Kingstree. 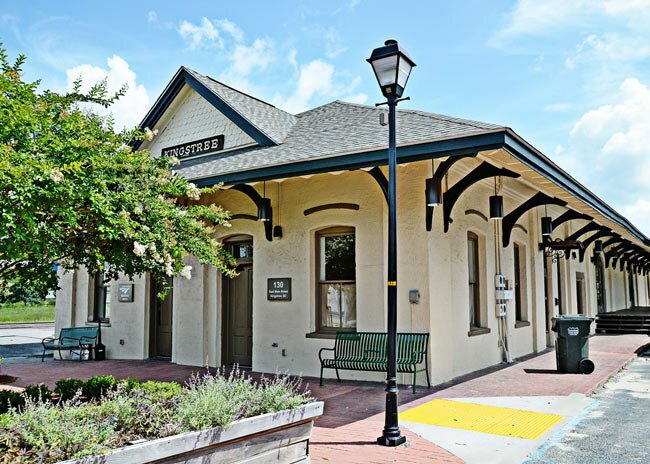 Read more about taking the Amtrak from Charleston to Kingstree. The Kingstree Historic District contains forty-eight properties situated along Main Street, Academy Street, and Hampton Street in the commercial area of downtown Kingstree. The district includes the courthouse, public library, railroad station, and numerous commercial buildings. The district is a fine collection of nineteenth-century vernacular commercial architecture. Details such as arched doorways and windows, cast-iron columns and pilasters, decorative or corbelled brick work and pressed tin interior ceilings are present on most of the district’s buildings. The Williamsburg County Courthouse, built ca. 1823, and designed by Robert Mills, is a fine example of Roman Neo-Classical design with its raised first floor, pediment with lunette, and Doric columns. In 1953-54 the courthouse underwent substantial remodeling on the exterior and interior, though it still reflects much of Mill’s original design. With the exception of the courthouse, most of the buildings in the district were built between 1900 and 1920 when Kingstree enjoyed prosperity as a retail and tobacco marketing center of Williamsburg County. The majority of the buildings in the district are a visible record of this twenty-year growth and the historic fabric of the area remains substantially intact.